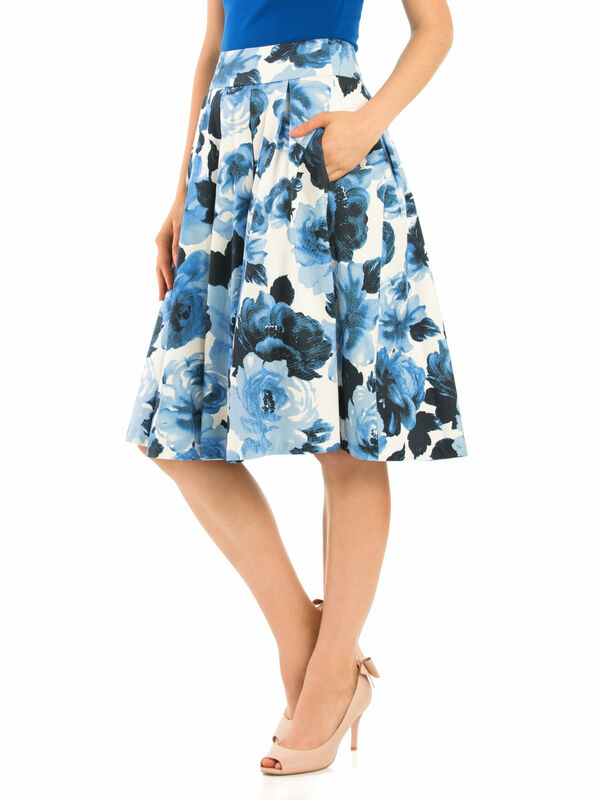 Miley Blue Rose Skirt https://www.review-australia.com/au/miley-blue-rose-skirt-blue/RE19SK095.RECRM010.html Floral prints will never go out of style, especially during the warmer seasons, and this Miley Blue Rose Skirt is a classic and versatile option for both day and night. Designed in with a pleated, A-line fit, with a concealed zipper on the reverse. The skirt is fully lined to add soft movement. 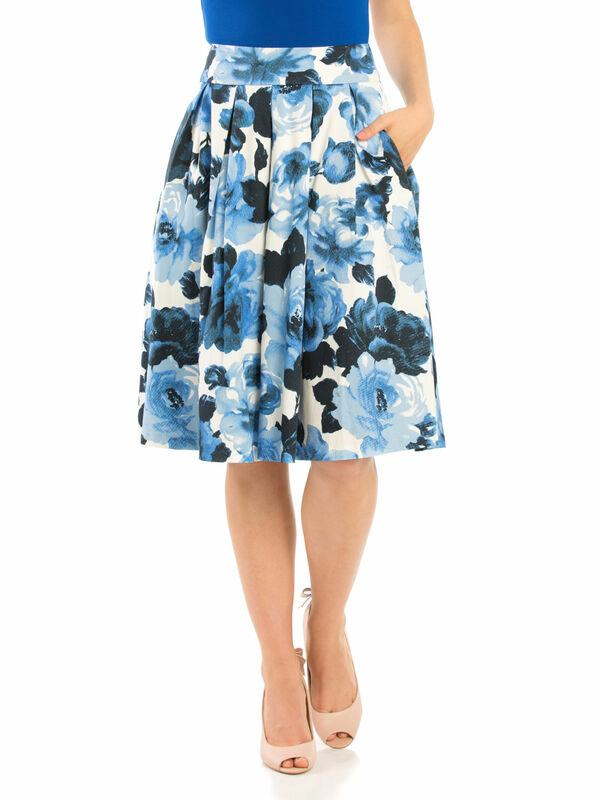 Miley Blue Rose Skirt is rated 5.0 out of 5 by 16. Rated 5 out of 5 by Physical71 from Great fit and striking colours! I bought this a couple of months ago and everytime I wear it, I am complimented on how lovely it looks. The best thing is that it so really comfortable to wear and easy to mix and match with different tops and shoes. Adore it. 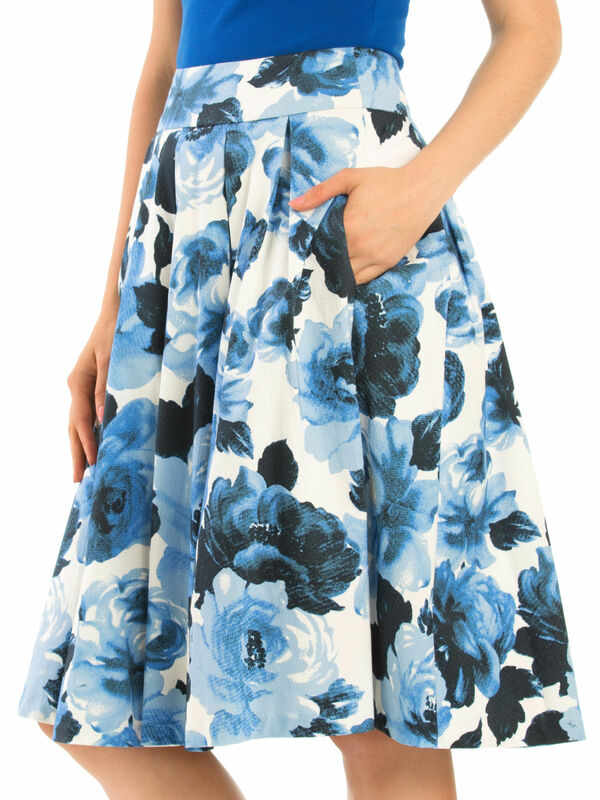 Rated 5 out of 5 by NicV from Blue floral ... a winning combination Love the shape and fit of my Miley Blue Rose Skirt...so feminine, floaty and foxy! Rated 5 out of 5 by antpap from LOVE IT!!! I bought this skirt a few weeks ago and I’ve had nothing but compliments when ever I wear it! It is so comfortable to wear and BONUS it’s got pockets! Proper pockets!! I can actually put things in the pockets and know they won’t just slip out! The skirt itself is gorgeous but the pockets are just an amazing addition to have :) very happy shopper!! Rated 5 out of 5 by LaraF from Perfect with petals and pockets! This is yet another great skirt from Review. I purchased it a couple of weeks ago and love it. 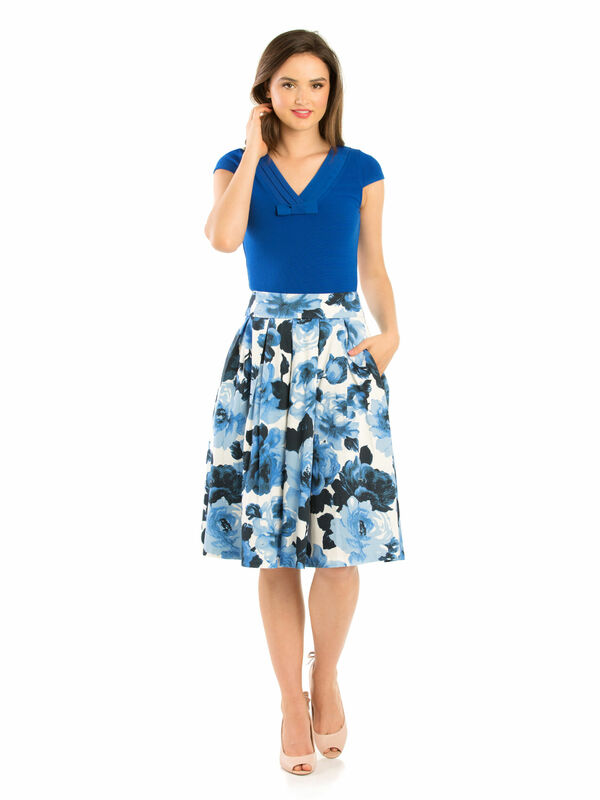 It’s the perfect skirt - a great length, lovely colours and floral pattern to go with an assortment of different tops, and of course it has pockets. Rated 5 out of 5 by TG97 from Beautiful skirt I am so glad review released this style of skirt again - it’s such a flattering style! Also it has pockets!! I’ve worn this skirt twice and have received compliments both times - definitely one of my favourite additions to the wardrobe. Rated 5 out of 5 by Maddie99 from Classic! I bought this about a month ago with the matching blue top. A very versatile Review design and I love the print of this one. Not too bright, but pretty with the block colour top. A great new addition to my skirt selection. 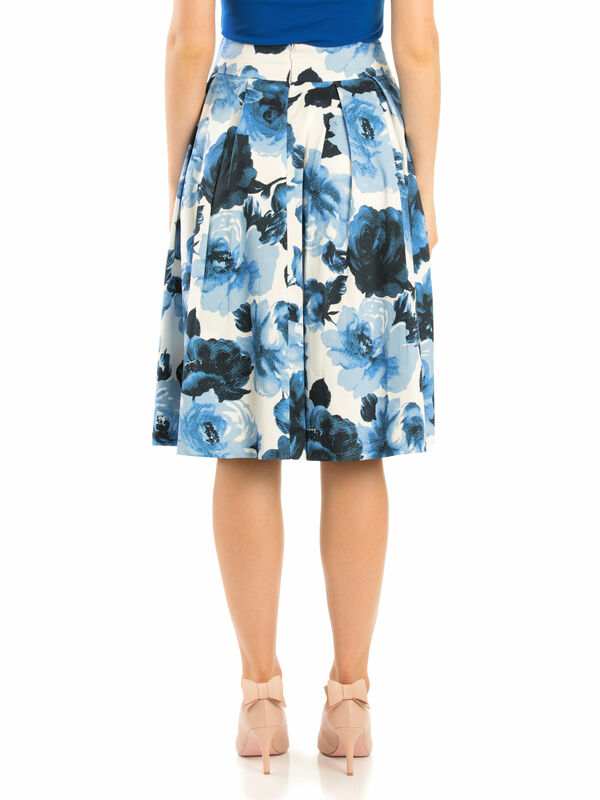 Rated 5 out of 5 by wicky13 from Perfect Skirt I am so glad I bought the Miley Blue Rose Skirt. I just love Review skirts and this one is in the most beautiful blues you could ever see. I received several compliments when I wore it and am sure it will be a favourite. Rated 5 out of 5 by 10anna069 from Pockets! I bought this on sale, but I would have paid full price. It feels and looks amazing and has pockets as well. Beautiful fabric design and I love the blue options. I will team it with the One I want navy one shoulder top.